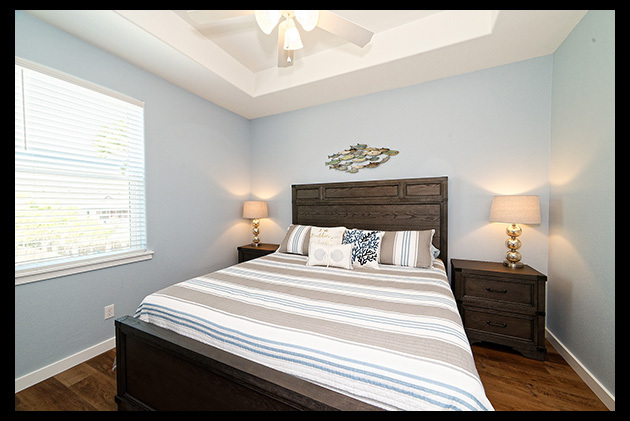 Welcome to Sand Ranch at Beachside Townhomes in Port Aransas. HEATED LAGOON SWIMMING POOL AND SMALL OCEAN VIEW. Sand Ranch is a newly constructed 1960 sq. 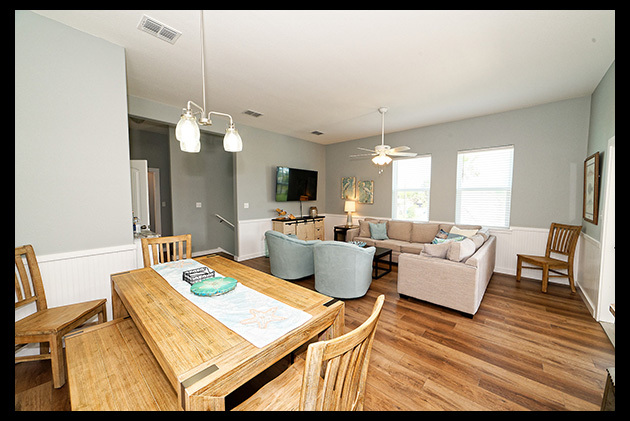 ft. townhome, located within walking distance to the beach at the corner of Sandcastle and 11th Street. The 3 story property also features 3 spacious balconies looking out towards the gulf, with a Peek-A-Boo view from the 3rd floor balcony. 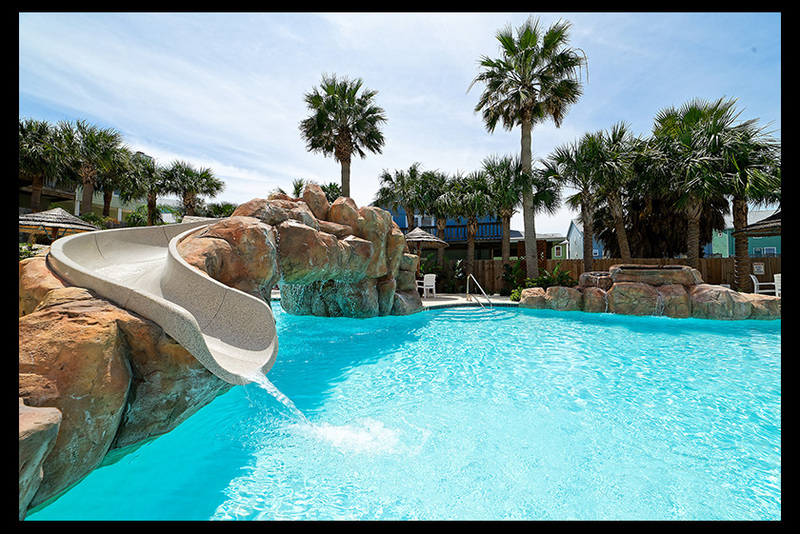 The heated resort styled Lagoon swimming pool is only steps away. 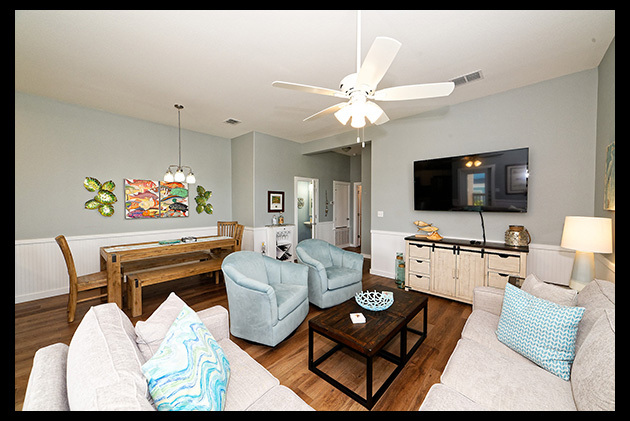 This end unit provides lots of room for family and friends to gather and enjoy the fun only offered at Beachside. 4 Bedrooms and 4.5 Bathrooms. Shared Resort Style HEATED Swimming Pool with Slide and cool Cabana's. The ground floor has 2 bedrooms. The 1st bedroom has a queen sized bed with ensuite bathroom, tub/shower combo. The 2nd bedroom has a bunk bed with twin over full and a twin trundle bed underneath. There is a hall bathroom with walk in shower. Both bedrooms have 42” LED TV’s with Satellite. Both bedrooms have doors to access the shared patio space. The second floor is the main living area. It offers plenty of comfortable seating to enjoy the 60” LED television inside or step out onto the furnished balcony and relax at the bar. The dining room table seats 8 with 3 additional seats at the breakfast bar. There is a ½ bathroom off of the living room. The 3rd bedroom is a master King suite. It is located on the second floor and has an ensuite bathroom with walk in shower. There is a 42” LED TV with Satellite. The 4th bedroom is a master Queen suite and located on the 3rd floor. There is an ensuite bathroom with walk in shower. There is a 42” LED TV with Satellite and access to the furnished private balcony with a Peek-A-Boo view of the Gulf of Mexico. HEATED Swimming pool features a large waterslide, palm trees, shaded cabanas, grills to BBQ and restrooms for your convenience. 2 parking spaces provided in front of unit with a small gravel parking area for a Golf Cart and additional parking available on property.